Once the Air Force adopted the Sidewinder as part of its arsenal, it developed the AIM-9E, introducing it in 1967. The "Echo" was an improved version of the basic AIM-9B featuring larger forward canards as well as a more aerodynamic IR seeker and an improved rocket motor. 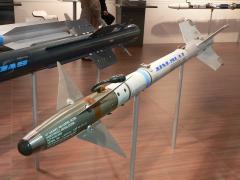 The missile, however still had to be fired at the rear quarter of the target, a drawback of all early IR missiles. Significant upgrades were applied to the first true dogfight version, the AIM-9J, which was rushed to the South-East Asia Theatre in July 1972 during the Linebacker campaign, in which many aerial encounters with North Vietnamese MiGs occurred. The Juliet model could be launched at up to 7.5g (74 m/s²) and introduced the first solid state components and improved actuators capable of delivering 90 lb·ft (120 N·m) torque to the canards, thereby improving dogfight prowess. In 1973, Ford began production of an enhanced AIM-9J-1, which was later redesignated the AIM-9N. The AIM-9J was widely exported. The J/N evolved into the P series, with five versions being produced (P1 to P5) including such improvements as new fuzes, reduced-smoke rocket motors, and all-aspect capability on the latest P4 and P5. 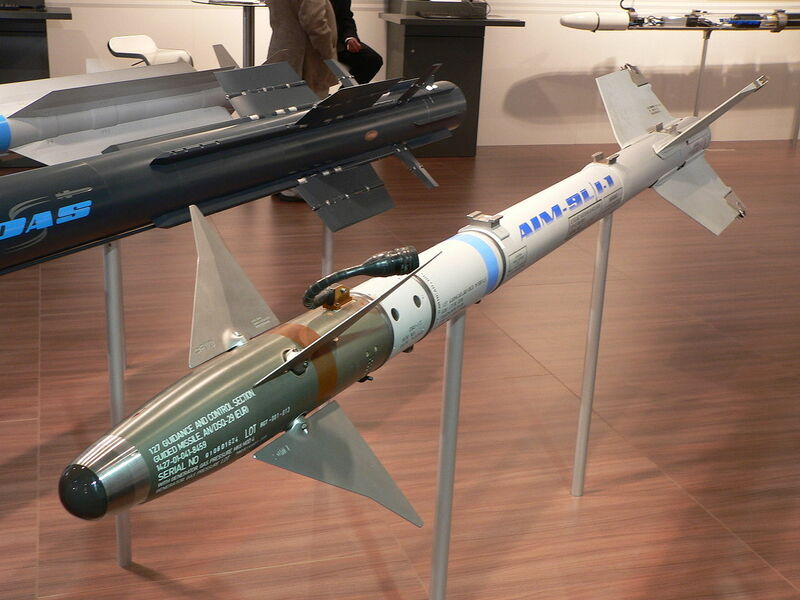 BGT in Germany has developed a conversion kit for upgrading AIM-9J/N/P guidance and control assemblies to the AIM-9L standard, and this is being marketed as AIM-9JULI. The core of this upgrade is the fitting of the DSQ-29 seeker unit of the AIM-9L, replacing the original J/N/P seeker to give improved capabilities.